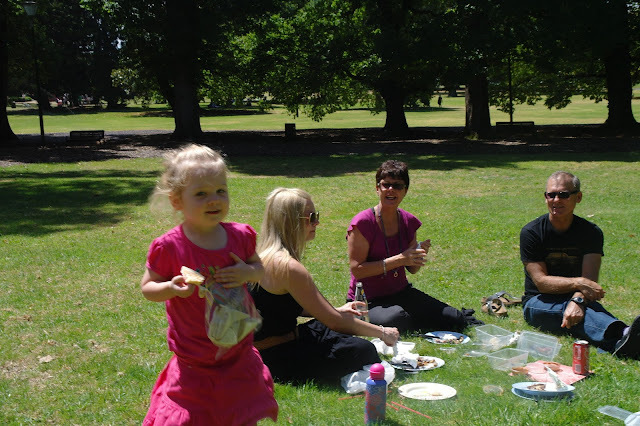 My parents arrived in town for Australia Day and it was a spectacular Melbourne summer day so I decided that we should do the Australia Day thing and go for a picnic in the park. That was about as close as we got to doing the usual Australia Day thing as there were definitely no snags on our barbie! 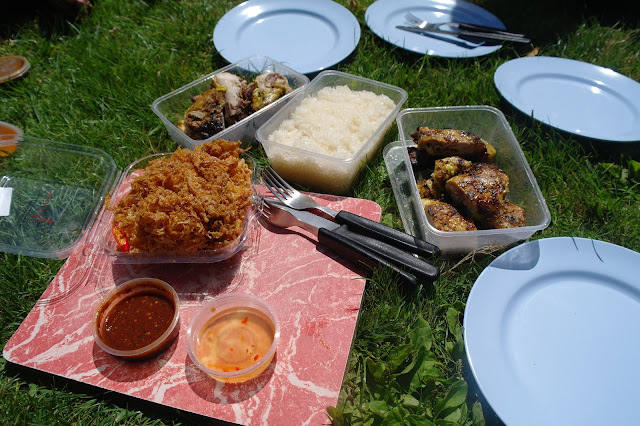 Instead we headed to Som Tum Gai Yang on Victoria Street and grabbed a takeaway full Thai Grilled Chicken (Gai Yang) with sticky rice and Nahm Prik (spicy fish chilli dipping sauce) and headed to the Fitzroy Gardens. I was over on Victoria street the other week and saw this on the menu in the window and vowed to find an opportunity to try it. 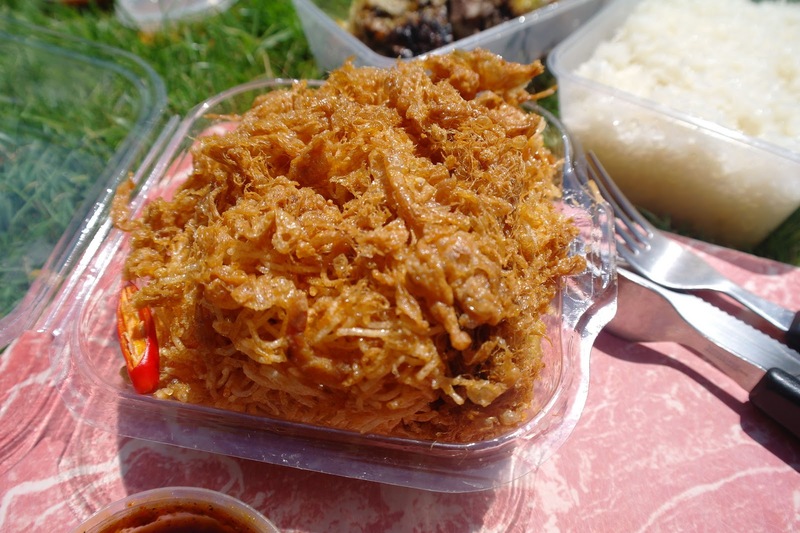 Once again, another superb Thai dish that you just don't see offered on Melbourne menus, at least not the whole chicken option anyway. I love this dish as it tastes spectacular and the dipping sauce is so wonderfully spicy but I also love that you don't need any cutlery or plates, you just go at with with you hands rolling balls of sticky rice and grabbing chucks of the chopped up grilled chicken and dipping both into the Nahm Prik. 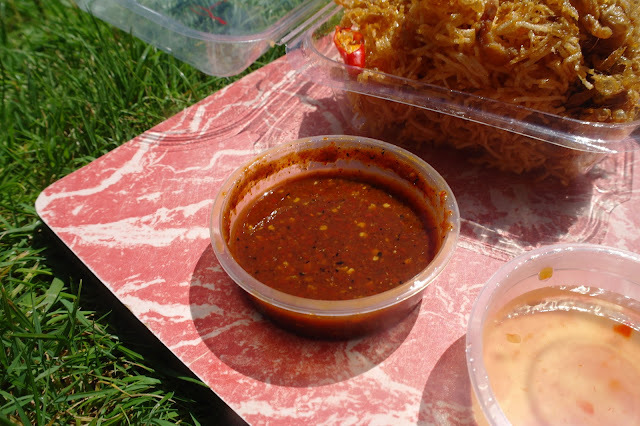 Well I don't think its actually Nahm Prik but its still deliciously spicy. 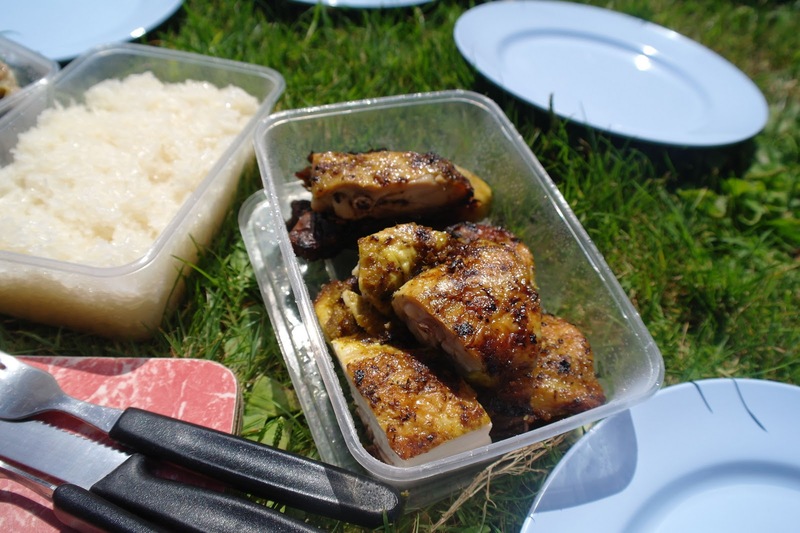 We just smashed the whole chicken and generous serve of sticky rice in no time. I think it must be a throwback to growing up when we often bought a cooked chook from the supermarket but I really love buying a whole cooked chicken. A gave up on the supermarket and Red Rooster options years ago after a few disappointing experiences and settled on Nando's when I needed a fix but I have now well and truly moved on, sorry Nando's. The Gai Yang is a bit on the expensive side, I think around $30 for the chicken and sticky rice but in my opinion its worth every cent. I love sticky rice, its not too difficult to make but finding somewhere that you can buy it from is not that easy. Som Tum Gai Yang make delicious sticky rice, once I start rolling it up into little balls and dipping it in the spicy sauce I just can't stop! 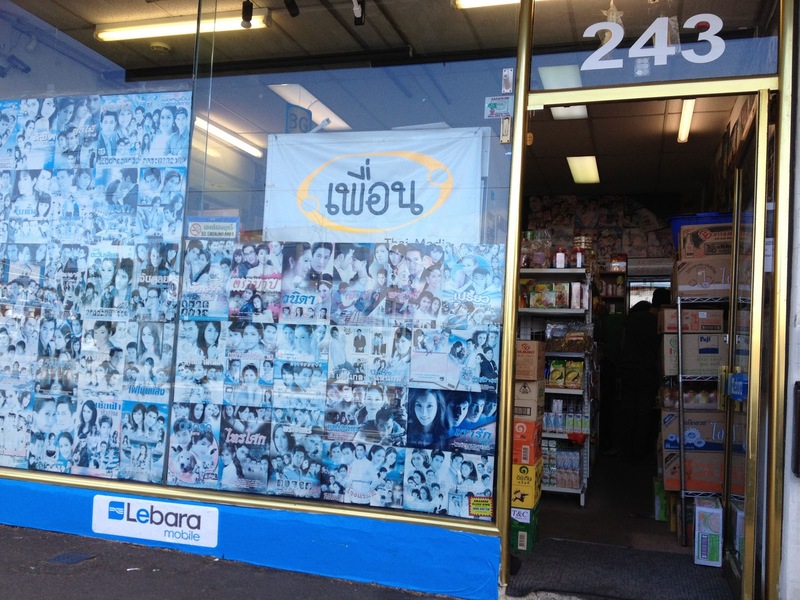 When I visit Victoria Street I always drop into the Thai Video/Grocers to see what new goodies they have for sale. Today I discovered a new treat, I am guessing it is a Mee Krob or something similar, basically its sweet sticky spicy fried noodles with crispy fried dried prawns. I'm really not sure what this dish is called but I am sure that it was fantastic and went really well with the Gai Yang and sticky rice. Again, it also isn't so cheap at $10. 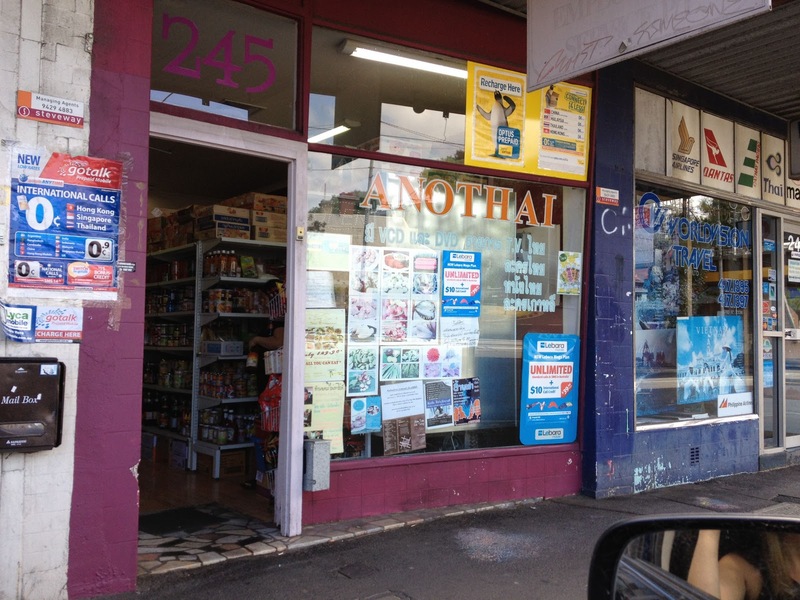 The container says that it's made by Ying Thai who have a restaurant in Carlton and one on Victoria Street.